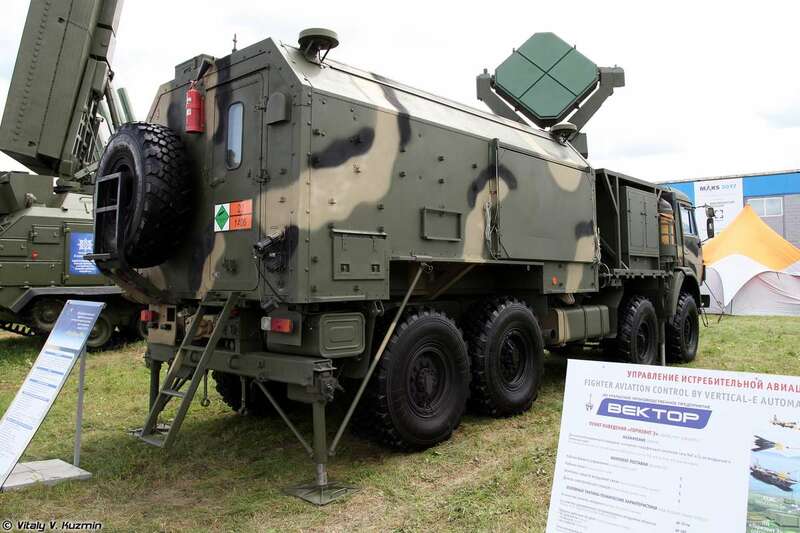 The 1B77 “Ulybka-M” (Russian designator: «Улыбка-M» (индекс 1Б77) — “Ulybka” = “smile”) is a mobile weather radar. The collected weather data is used for gunnery, launching of missile and multiple rocket systems; calculation of contamination areas; weather forecast; aviation flight support. 1B77 is the successor of which will replace RPMK-1 Ulybka. The main difference between “Ulybka-M” and the former system is its capability to measure main atmosphere parameters without balloons. Instead of two vehicles and a semitrailer the complex is mounted on the basis of one KAMAZ truck. The antenna is a monopulse antenna which is rotated by 45°. Balloon observation is also possible. The required additional equipment is located on a trailer. New and much smaller radiosondes are used, which probably also work in a different frequency range. For this there are small omnidirectional antennas on the roof of the cabin. But also the older radiosondes can still be used.